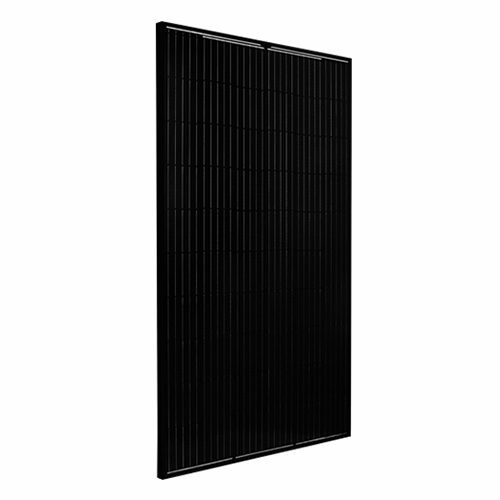 Silfab SLA-M 300 Mono 60 cell 300W Solar Panel ultra-high-efficiency modules are optimized for Commercial projects where maximum power density is preferred. Silfab’s fully-automated manufacturing facility ensures precision engineering is applied at every stage. Superior reliability and performance combine to produce one of the highest quality modules with the lowest defect rate in the industry. Total automation ensures strict quality control during each step of the process at our certified ISO manufacturing facility. wide-ranging racking compatibility and durability. As the largest and most advanced manufacturer in North America, Silfab’s fully automated facility utilizes precision engineering to produce superior reliability and performance with the lowest defect rate in the US. Silfab provides value to the residential and commercial customer who want domestically made modules and maximum power density. Silfab’s 100% North American based team leverages just-in-time manufacturing to deliver unparalleled service, on-time delivery and flexible project solutions. Join our ZERO Home Bills Community. The BEST Products from the BEST Brands at BEST Prices for ZERO Home Bills on ZEROhomebills.com by Solaranna. As the largest and most advanced manufacturer in North America, Silfab’s fully automated facility utilizes precision engineering to produce superior reliability and performance with the lowest defect rate in the US. Silfab provides value to the residential and commercial customer who want domestically made modules and maximum power density. Silfab’s 100% North American based team leverages just-in-time manufacturing to deliver unparalleled service, on-time delivery and flexible project solutions. Join our ZEROhomebills Community. The BEST Products from the BEST Brands at BEST Prices for ZERO Home Bills on ZEROhomebills.com by Solaranna.